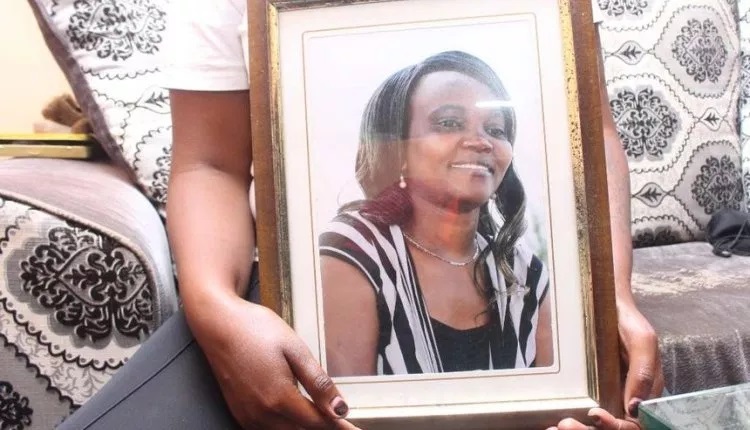 Wednesday February 13,2019 - A family member of Dandora human rights activist, Caroline Mwatha Ochieng, has said police are trying to cover up her murder by coming up with a story that she died while trying to procure an abortion at a Dandora based clinic. Speaking at City Mortuary where Caroline’s body was found after she disappeared on Wednesday last week, the family member said police have been trying to hide the truth about the murder of Caroline. The family member said that the body of Caroline had injuries on her neck and chest yet police are saying that she was trying to procure abortion. “Do women procure abortion using their necks and chests?” he asked. He also said police were trying to hide the identity of the person who brought the body of Caroline to City Mortuary on February 7. According to the police, Caroline went to a Dandora based clinic to procure an abortion but she bled to death. The owner of the clinic hired a taxi and took her to Kenyatta National Hospital but doctors refused to book her since she was dead. The clinician later took the body to City Mortuary where they booked her as Caroline Mbeki and this is why there was a problem in identifying her. Six people are already in police custody over Caroline’s death.